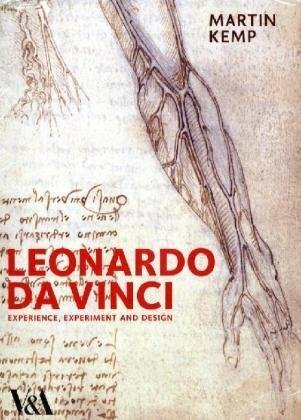 In addition to art, Da Vinci studied all aspects of life from anatomy to mathematics and astronomy; his far-reaching investigations and discoveries sought to show an underlying unity of the universe. Da Vinci is considered to be a key person in the birth of the European Renaissance, which saw an emergence of new ideas, scientific discoveries and the creation of beautiful art. Leonardo was born an illegitimate son of a Florentine noble and peasant woman; he grew up in Vinci, Italy. In his formative years, he developed a love of nature and from an early age began to display his remarkable academic and artistic talents. In 1466, he moved to Florence where he entered the workshop of Verrocchio. Initially, his formative style reflected his teacher but he soon developed an artistic sense which went far beyond his master’s rigid style. His first work of significance was the “Adoration of the Magi” commissioned by monks of San Donato a Scopeto. Although unfinished, the work was a masterpiece and introduced several new ideas. In particular, he introduced themes of movement and drama. He also pioneered the use of Chiaroscuro; this is the technique of defining forms through the contrast of light and shadow. This would be later used to great effect in the Mona Lisa. The Last Supper has been described as one of the greatest religious paintings. With Christ at the centre of the picture, it embodies great feeling and emotion as Christ is about to announce his imminent betrayal by Judas. 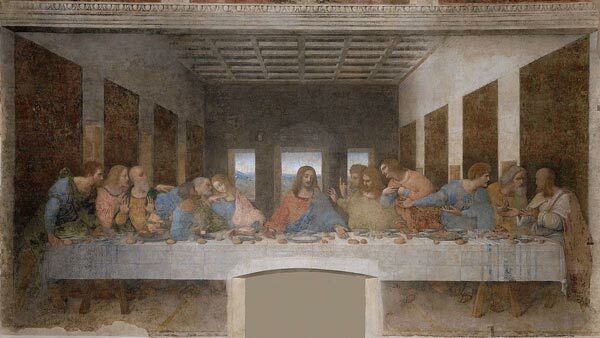 The painting is held at the Convent of Santa Maria Delle Grazie, Milan, but unfortunately over time the quality of the original painting has deteriorated, despite frequent restoration attempts. In 1499, his patron L. Sforza was defeated by the French invasion, causing Leonardo to return to Florence. During this period, he painted the fresco of the Battle of Anghiari. This artwork was to exert tremendous influence over future artists. However, it was never completed and was later destroyed. 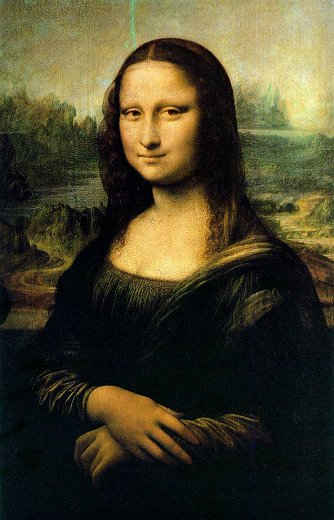 It was also during this period that Leonardo completed The Mona Lisa. The Mona Lisa is one of the world’s most famous and intriguing pictures. The Mona Lisa is a portrait of a wife of a Florentine noble. For several days she came to Leonardo and sat for her portrait to be painted; however, she refused to smile. Leonardo even tried hiring musicians but to no avail. One day, just for a fleeting second, she gave a faint smile, and Leonardo was able to capture it. Her smile encapsulates a mysteriousness which is both fascinating and intriguing. Sri Chinmoy said of the Mona Lisa. In the Mona Lisa, Leonardo masters the techniques of sfumato and chiaroscuro. Sfumato enables a gradual transition between colours – allowing delicate and expressive images. In the Mona Lisa, the use of chiaroscuro is evident in the contrast between her face and the dark background. In this period Leonardo also extended his studies into engineering, science and other subjects. There seemed to be no end to his interests. He made copious notes in his complex mirror handwriting, much of which wasn’t deciphered in his lifetime. He also drew complex models of machines; in particular, he was fascinated by flight. He used to buy birds just so that he could release and enjoy watching them fly away. 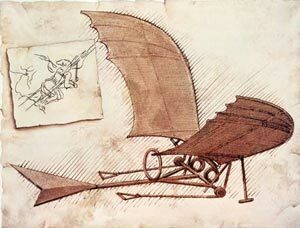 Da Vinci also attempted to build a flying object himself. Machines that he drew on paper, such as helicopters, would become a reality many centuries later. If his medicinal studies had been published, it would have revolutionised the science, as he was one of the first to understand the circulation of blood within the body. He also realised the earth revolved around the sun, anticipating the future work of Copernicus and Galileo. Da Vinci was driven to contemplate all aspects of life and the world, it left him with a great love and fascination with the universe. Through different fields, Da Vinci sought to see an underlying unity in the universe and took an optimistic view of human potential. This is a drawing of the proportions of man. Da Vinci used earlier work and notes by the Roman architect Vitruvius. 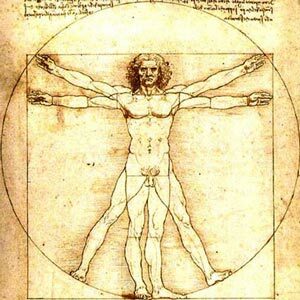 The picture combines art, man and science – illustrating the beauty of geometrical proportions and the human form. It is symbolic of Da Vinci’s work, and the Renaissance he inspired, to combine these art forms into one diagram. In the simplicity of a line drawing, there are many different factors brought into play; it has become an iconic image. 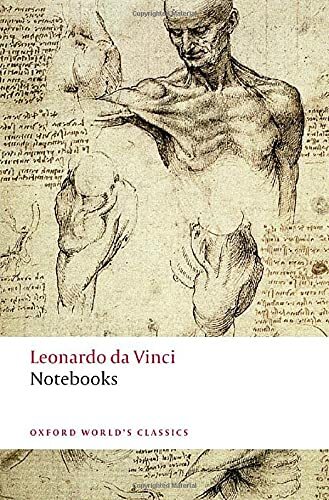 His first biographer, Giorgio Vasari, writes on the person of Da Vinci in 1550. Between 1506-1510, Leonardo spent time in Milan working on behalf of the very generous French King Lois XII. In 1513 he travelled to the Vatican, Rome where he enjoyed the patronage of the new Medici Pope, Leo X. Here, Da Vinci worked in proximity to contemporaries such as the great Masters Michelangelo and Raphael. 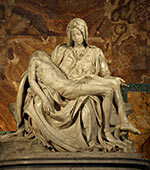 However, an intense rivalry soon developed between the younger Michelangelo and Da Vinci. Vasari removed this quote in the second edition but, from his life’s work, we can see Da Vinci valued reason and was willing to question dogma passed down through the ages. Da Vinci wrote criticisms of the sale of indulgences by the Catholic Church. 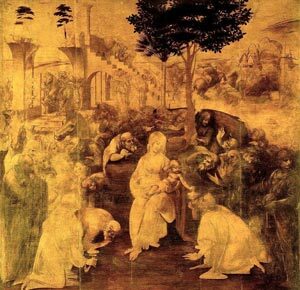 The religious paintings of Da Vinci also indicate a religious faith expressed in a non-conformist way. 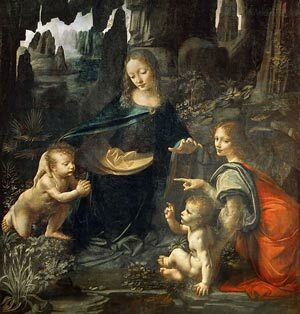 His Madonna on the Rocks incorporates a Virgin Mary, not dressed regally or surrounded with a halo, but simply dressed in the surroundings of nature. Da Vinci did believe in God, but his religious sensibilities were expressed through seeing God in art, science and nature. In 1515, Da Vinci left to settle at the castle of Cloux, near Amboise by the kind invitation of Francis I of France. Here Da Vinci, spent his remaining years, free to pursue his own studies. 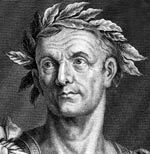 He died in 1519 leaving behind one of the greatest body of artistic and scientific works. Citation: Pettinger, Tejvan. 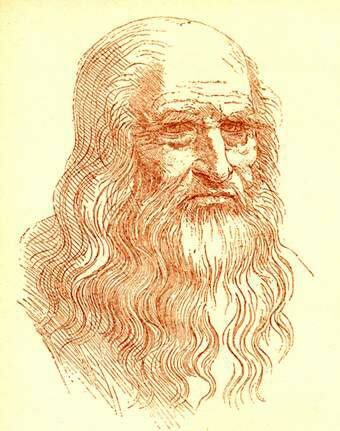 “Biography of Leonardo da Vinci”, Oxford, UK – www.biographyonline.net. Published: 12th Jan 2014. Last updated 15th February 2018. Famous Artists – A list of the great artists, including Leonardo da Vinci, Claude Monet, Vincent Van Gogh, Pablo Picasso, Michelangelo and Rembrandt.